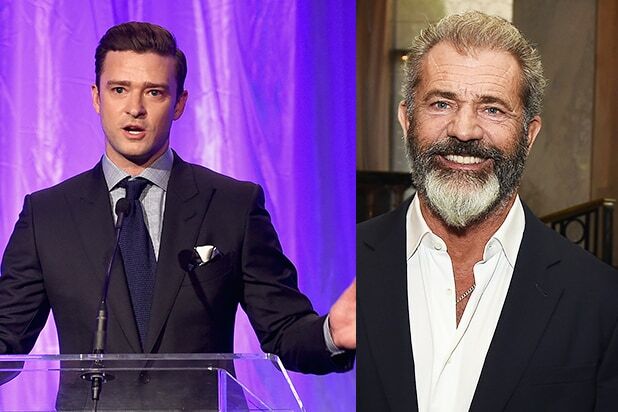 Justin Timberlake and Mel Gibson presented HFPA grants to orgs like UCLA, the AFI, Columbia University, the MPTF, and GlobalGirl Media. 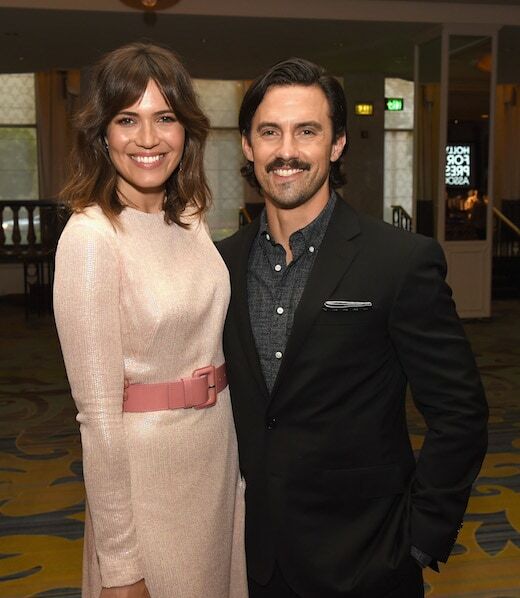 The Hollywood Foreign Press Association (HFPA) emptied its pockets of $2.4 million in gifts to entertainment-related non-profits and scholarship programs at its annual “Grants Night Banquet” at the Beverly Wilshire Hotel in Beverly Hills. 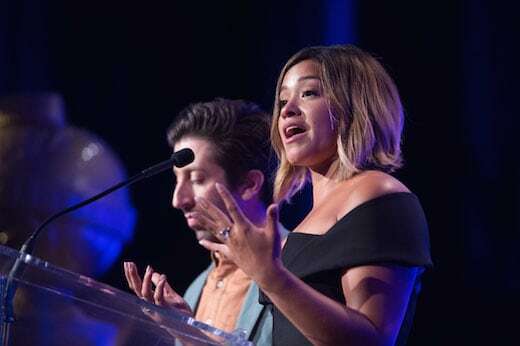 Among the celebs attending were breakout star Nate Parker (“Birth of a Nation”), “Bridget Jones’s Diary” co-stars Renee Zellweger and Hugh Grant, Emma Stone, Justin Timberlake, Vince Vaughn and Golden Globe winner Gina Rodriguez, who made charitable presentations on stage while guests enjoyed a steak and seafood dinner. 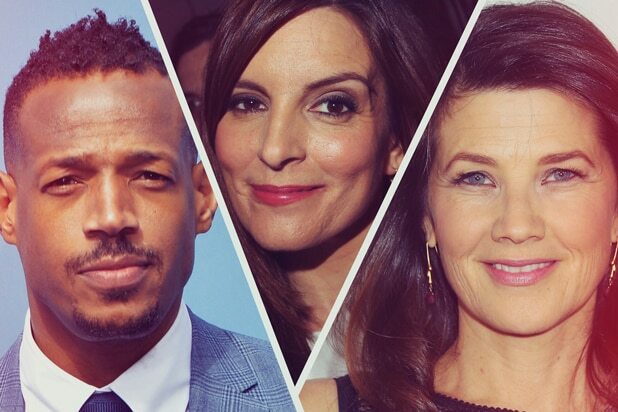 Known for its January awards show that indulges television and film stars with an avalanche of champagne on live TV, the HFPA’s August confab is the culmination of the previous year’s awards cycle. The night exports millions of dollars raised from the Golden Globes and year-round events, while turning the page for 2017 contenders to make early appearances. For Warren Beatty – the 1962 Golden Globe winner for “Most Promising Newcomer, Male” — the Grants Banquet was a homecoming. 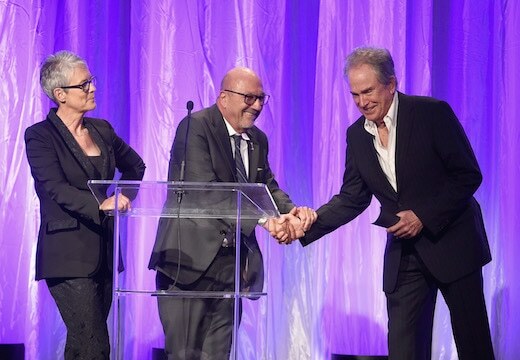 “I lived in this hotel for 12 years,” Beatty told the crowd, before announcing a $350,000 grant to Martin Scorsese‘s Film Foundation. After years of flying under the radar following his infamous 2006 DUI arrest, Mel Gibson returned to a HFPA stage for the second time this year, which went much smoother than the first. 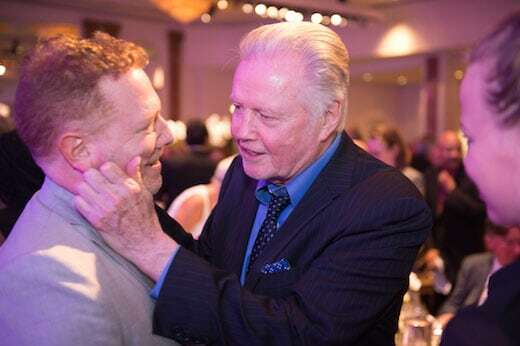 Gibson’s appearance at the Golden Globes earlier this year was a heavily-bleeped segment that got tense when host Ricky Gervais asked him: “What the f— is sugar t–s?” in reference to Gibson’s reported outburst during the 2006 arrest. Vince Vaughn presented with Gibson, who had just begun the promo tour for “Hacksaw Ridge,” the Venice Film Festival-bound film he directed about a conscientious objector. Whispers around town are that it is an awards contender. Industry luminaries filled the room. 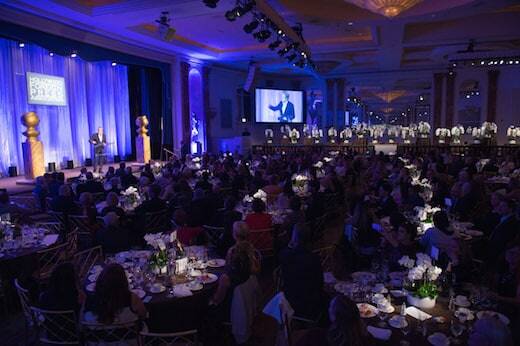 Among them, Walt Disney Studios Chairman Alan Horn, who sat next to HFPA President Lorenzo Soria. 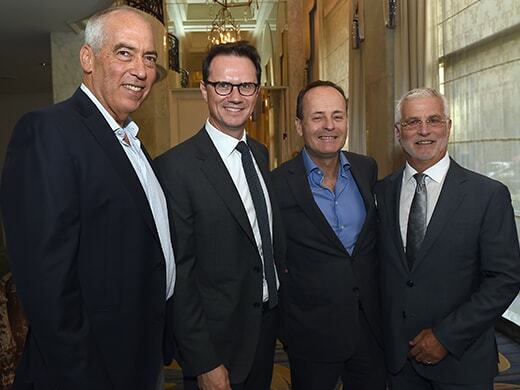 During cocktails, a fox delegation of Gary Newman and Peter Rice hung out with FX President John Landgraf and Lionsgate Motion Pictures Co-Chair Rob Friedman. Christian Slater and Joanne Froggatt of “Downton Abbey” dined together and were joined by HFPA exec Munawar Hosein mid-way through the meal. The dining and schmoozing included HBO power player Nancy Lesser (Executive VP of Media and Talent) sitting with awards strategist Melody Korenbrot and Korenbrot’s team. 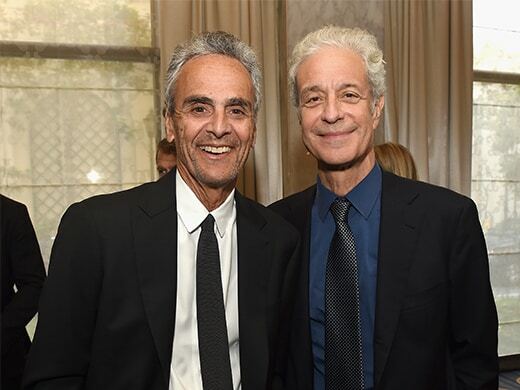 Fellow awards gurus included Karen Fried and Jeff Sanderson, while power publicists Stan Rosenfield and Broad Green Pictures’ Christina Lee also scored choice seats. The grants and scholarships span the full spectrum of creative minds behind filmmaking. Big ticket education fellowships went to UCLA ($125,000) and Cal State schools around Los Angeles ($265,500). Mentoring and professional training grants went to the American Film Institute ($30,000) and the Sundance Institute ($100,000), while nine grants went to pre-professional organizations, like Los Angeles County High School for the Arts and Ghetto Film School. Charitable contributions to promote the legacy of film went to Scorsese’s Film Foundation with $35,000 to Outfest and nearly $50,000 to the Motion Picture and Television Fund. Jimmy Fallon will host the 2017 Golden Globes, which will air live coast-to-coast on NBC on Jan. 8, 2017 at 8 p.m. ET/5 p.m. PT.